The Excite Run 700 is something to be excited about. Adding a new level of style and sophistication that other treadmills don’t quiet catch, this will to any fitness area or facility that is willing to offer a unique running experience that feels as natural as running outdoors. Technogym, not only being a reputable brand but also produces highly robust sleek commercial machines, with an impressive 6.00HP continuous DC motor, speeds can range as high as 14mph with an maximum incline of 15%! Holding a maximum user capacity of 400lbs, the Excite’s 20” x 51” impact-absorbing deck and easy-to-use controls make it a natural choice for users of all levels of fitness. 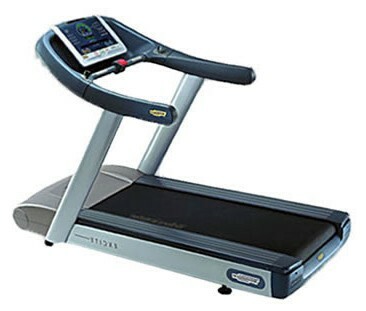 To put it simply, the Excite Run 700i not only performs better than other treadmills, but it looks a lot better too. Holding 14 programs available along with Quick-Start, it’s sophisticated design attracts attention and lifts the perceived value of the entire fitness experience you offer. It has been recognized for its outstanding design by the prestigious Italian Association for Industrial Design (ADI) and of course, offers all of the bells and whistles like high-tech multimedia, goal orientated displays should.